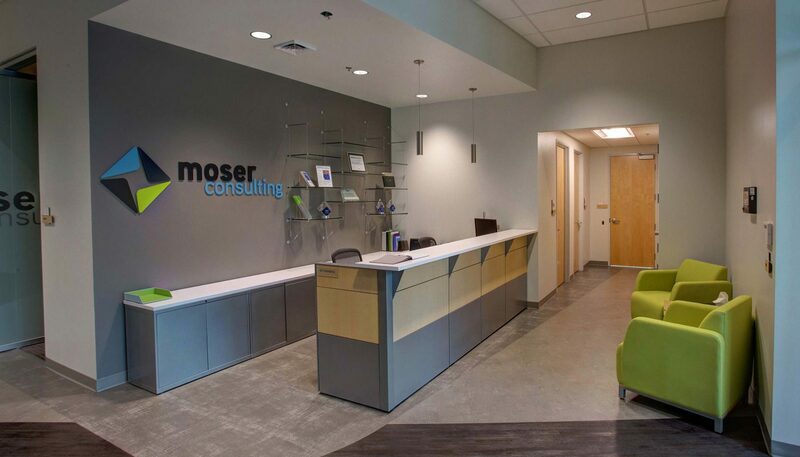 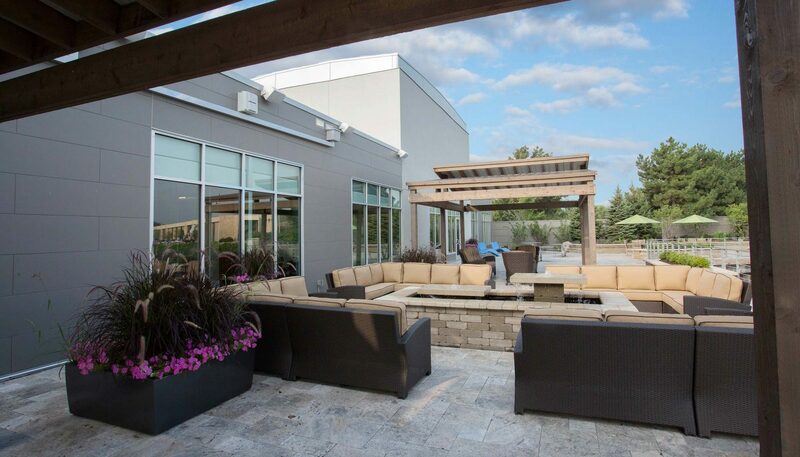 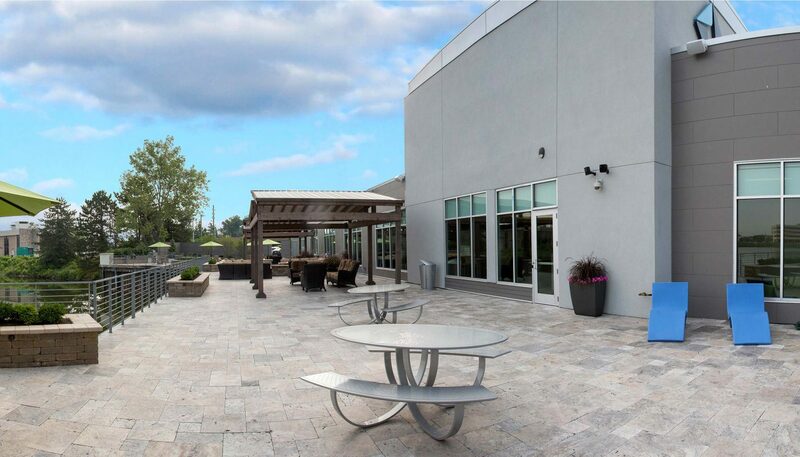 Moser Consulting found the perfect location for their new office, but previous renovations had compromised the building’s structural integrity. 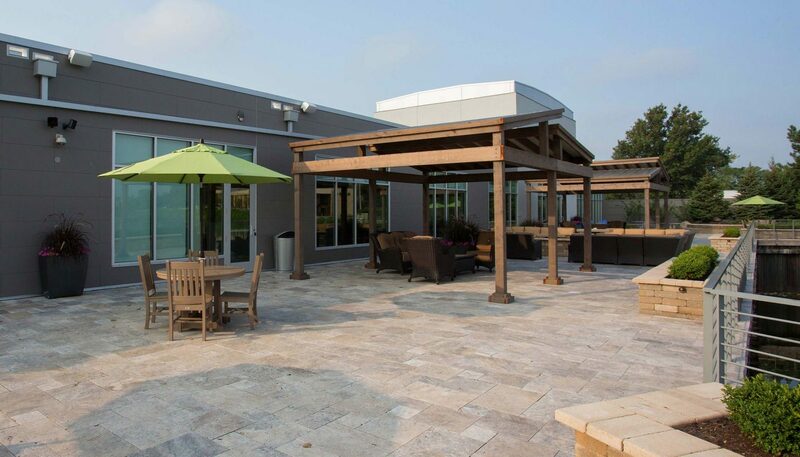 Curran gutted the building before revamping it to fit Moser’s needs. 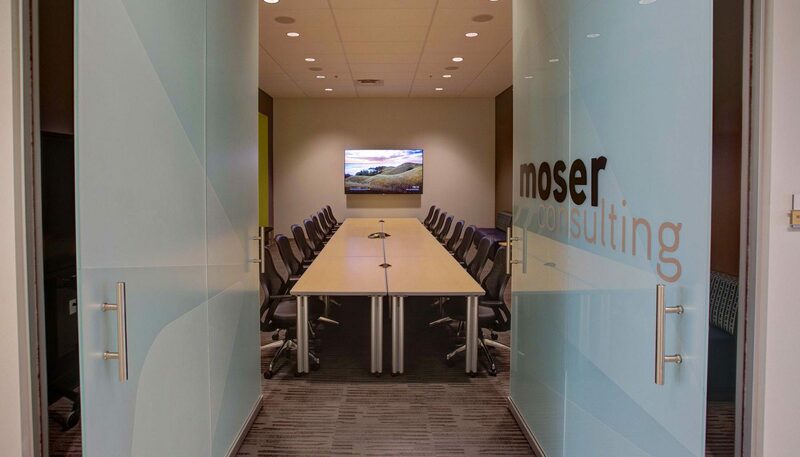 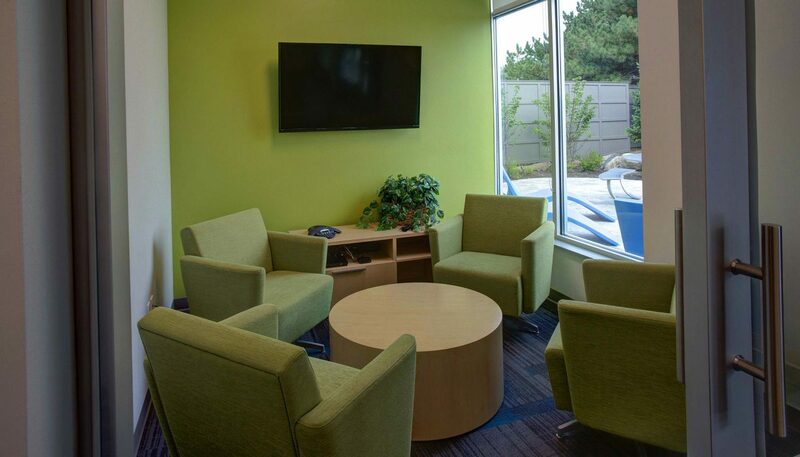 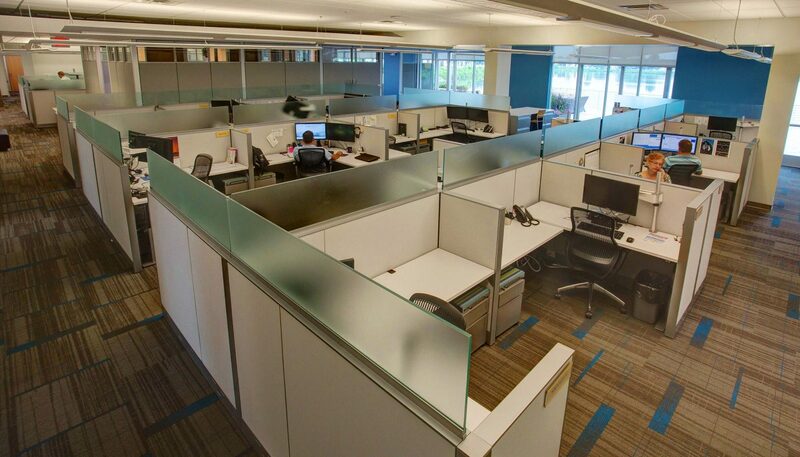 The new office has open spaces and flexible modern furniture, so Moser can easily rearrange as its workforce expands. 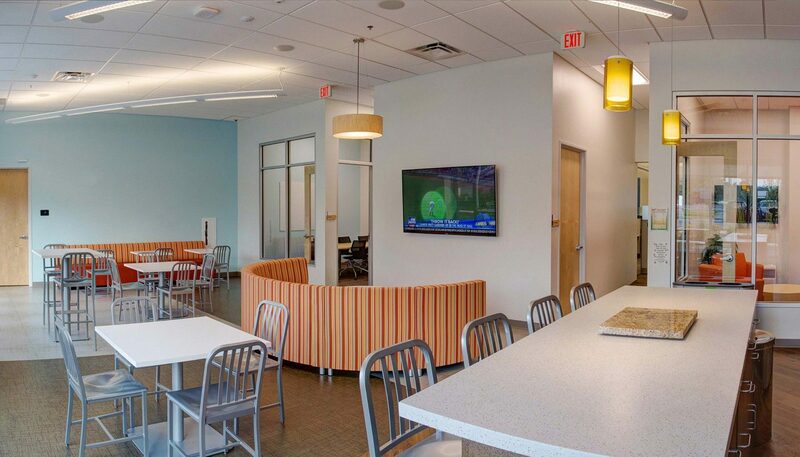 A low-profile raised floor hides a reconfigurable network of power cords, and a scenic lakeside patio with a pergola and an outdoor kitchen invites employees to work outdoors. 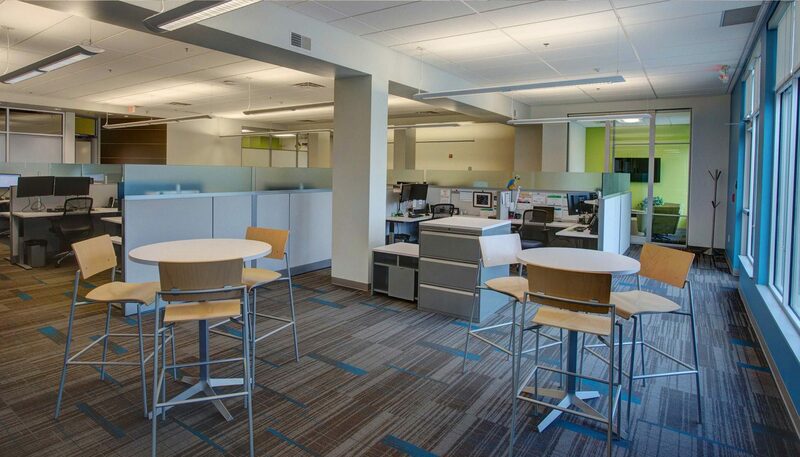 Curran also reworked the facade and added new windows to let in more light and create a contemporary office space.